LOS ANGELES, Calif., July 16, 2015 (SEND2PRESS NEWSWIRE) — Apparelbook, the world’s first online sourcing network for the apparel and accessories wholesale industry, today announced the launch of its online marketplace, Apparelbook.net, and package of online branding tools and services. Apparelbook provides an instant and direct source for retailers of all sizes to discover new apparel products and manufacturers via its online marketplace, as well as complementary web-enabled tools to continuously build the direct relationship between the buyer and the manufacturer. “The world has gone online, and retailer buyers are also looking for ways to take advantage for better products and better deals,” said Paola Borja, co-founder of Apparelbook. This website aims to show the most unbiased information about apparel and accessory products of all categories, styles and price points. The purpose is to provide opportunities for companies that may not be able to afford attending the big markets or trade shows to expose themselves to new retail buyers; it is simultaneously a new avenue through which retail buyers can discover new well-developed lines that they may otherwise not have encountered. Ultimately, Apparelbook focuses on enabling all apparel lines speak for and sell themselves based simply on the on-trend and quality merits of the products themselves. “We believe Apparelbook.net will allow buyers to discover new and, sometimes less-known, manufacturers that have quality products and negotiate the best prices with them. This will level the playing field for all apparel manufacturers, regardless of their history or current market share, and boost the companies with the greatest products to thrive,” Borja adds. Apparelbook.net is strictly a hosting site for apparel and accessories manufacturers, and any transactions conducted are directly with the manufacturers. To help promote the growth of relationships between retailers and manufacturers, Apparelbook also provides private website and company mobile app development for easy and instant communication. Apparelbook is the world’s first online wholesale network of independent garment and fashion accessory manufacturers for the apparel industry. The online marketplace, Apparelbook.net, lists manufacturers of all categories, including but not limited to women’s apparel, men’s apparel, children’s apparel, intimate wear, active sportswear, jewelry, hats, bags and glasses. The website provides a simple, easy-to-navigate organization of products from hundreds of apparel companies in operation around the world. This “no-frills” format aims to serve retail buyers by providing them a sourcing platform to connect, negotiate and purchase directly from the source, keeping focus on fashion and target prices for all budgets. The company also seeks to expose all quality, on-trend products from manufacturers of all sizes to retailers, and to support the cultivation of mutually-beneficial relationships between the two with packages of user-friendly web-enabled tools. Apparelbook is a division of iEnvision Group. It was founded in 2012 and is headquartered in Los Angeles, Calif. For more information, please visit http://apparelbook.net/. 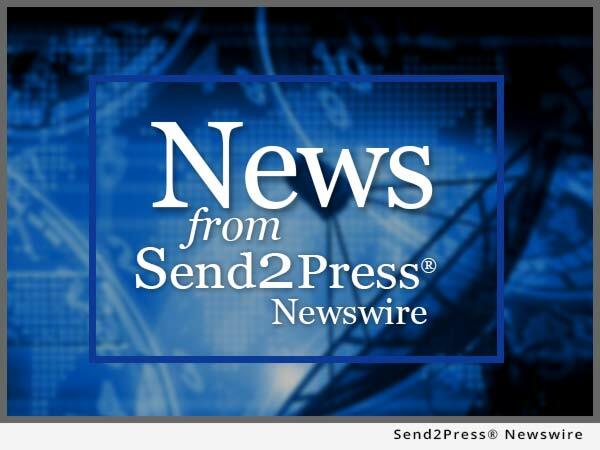 To view the original version on Send2Press Newswire, visit: https://www.send2press.com/newswire/apparelbook-launches-the-worlds-first-online-direct-sourcing-network-for-apparel-retailers-2015-0716-01.shtml. NEWS SOURCE Apparelbook :: This press release was issued on behalf of the news source (who is solely responsible for its accuracy) by and Copr. © 2015 Send2Press® Newswire, a service of Neotrope®.